Mark you calendar for our 4th Annual Offroad Charity Poker Run held on our 5600 acre riding lease. in Westpoint, TN. Open to SxS, ATVs and dirt bikes only, our lease doesn't allow jeeps, tucks or buggies on the trail system. $1000 Poker Run winner, $300 Second place and $100 third place, Raffles, Auction, Scavenger Hunt, and more. More Details to Follow in the coming weeks. Proceeds to help fun the Jason Dickey Memorial Fire Training Center being built by the Lawrence County Fire and Rescue (LCFR). 1. Gate fee of $20 per ohv will include one Poker hand and for non-members a two day guest pass for the 11th and 12th. The property will be closed for the event, everyone on the property will be checked for arm bands. 2. Additional poker hands for sale at $10 each. 2 wild cards can be drawn per hand at $5 each. 3. 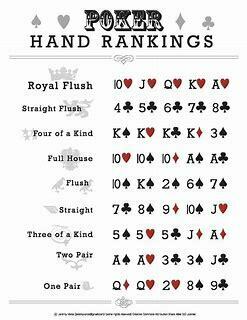 The best 5 card poker hand out of the 6 drawn cards wins the $1000 prize. No duplicate cards allowed in a hand (ie cant have two ace of hearts). 4. All poker hands will need to be turned in at 5:00 pm, gate opens at 7:00 am. This is not a race. 5. Dinner will be available starting at 3:00 pm -6:00 pm at event parking. Price and menu to be advertised later. 6. Primitive camping allowed at event parking and Coggin’s paradise. 7. Raffle drawings and auctions will begin at 5:00 pm at event under the tent. 8. Scavenger hunt prizes must be claimed by 5:00 pm.